There is no celebration of asparagus quite like the three days of food-stomping, hand-clapping, green-spear eating fun that was held last weekend in northern Michigan. The festival took place on the streets of downtown Empire, a village nestled in the shadows of Sleeping Bear Dunes National Lakeshore and barely a stone’s throw from the waves of Lake Michigan. Are you wondering how one celebrates asparagus? I traveled to Empire to find out and quickly became an active participant in Empire’s 12th Annual Asparagus Festival, an event that even outshines St. Patrick’s Day when it comes to being green. The festivities began when the Leelanau County Sheriff’s Department blocked the main street, the enormous big top tent went up and live music set the mood for Friday night. Saturday morning brought a 5K Asparagus Fun Run from the pristine lakeshore to the forested hills. Following that was an Asparagus Recipe Contest Cook-Off and an Ode to Asparagus Poetry Competition. Finally, the great Asparagus Parade began, complete with a national park service standard-bearer marching, throngs of kids and more than a few adults in asparagus-themed costumes marching to the tune of kazoos. The fun-filled morning was followed by an afternoon of music and delights for the taste buds. Asparagus was prepared in just about every imaginable fashion, including asparagus ice cream. A bit crazy? You bet! You’ll be amazed to know that the little Village of Empire drew crowds in the thousands! Every restaurant in that small town and towns nearby suddenly had asparagus on their menu in one form or another. After our bellies were full, more than a few participants, this one included, took to the beautiful trails of Sleeping Bear Dunes to enjoy the wonderful moments of May and search for morels. But the story of green spears and family fun does not end here. Did you know that there is even a MICHIGAN ASPARAGUS ADVISORY BOARD? It’s a promotional organization funded by Michigan asparagus growers and a great source of information on everything involving asparagus. Asparagus cultivation goes back over 2,000 years and asparagus remains one of nature’s most perfect vegetables. Many nature lovers search for wild asparagus while others turn to farms. There’s something special about the taste of Michigan asparagus that makes it deliciously different. In fact, Michigan ranks second in asparagus production in the United States. For more Michigan asparagus fun facts, check out www.MichiganAsparagus.org. The Empire Asparagus Festival is over, but no need to wait until next year for fresh asparagus. 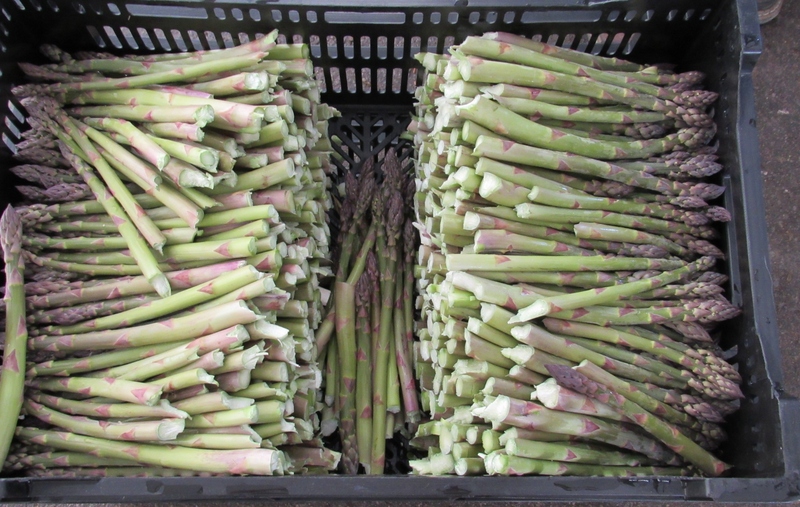 Jeremy Brown, Manager of the Oakland County Market reminds us, “Asparagus is a real indicator that summer is on its way. It is the first produce of the season. We have several vendors that sell asparagus including Morse Farms, Days Produce and Van Houtte Farms. Come early in the day because vendors may sell out.” The Oakland County Market is a 14-acre market site consisting of a 7,453-square-foot building with 38 indoor stalls, 32 outdoor stalls under a canopy, 20 non-sheltered stalls, parking for 268 vehicles. Among the flowers, local produce and artisan crafts to be found is grower-direct fresh asparagus. The market is open from 7:00 a.m. until 1:30 p.m. on Tuesdays, Thursdays and Saturdays and is located at 2350 Pontiac Lake Road in Waterford. To contact the market for availability of produce call 248-858-5495 or email: OCMarket@oakgov.com. You can check them out on Facebook too. 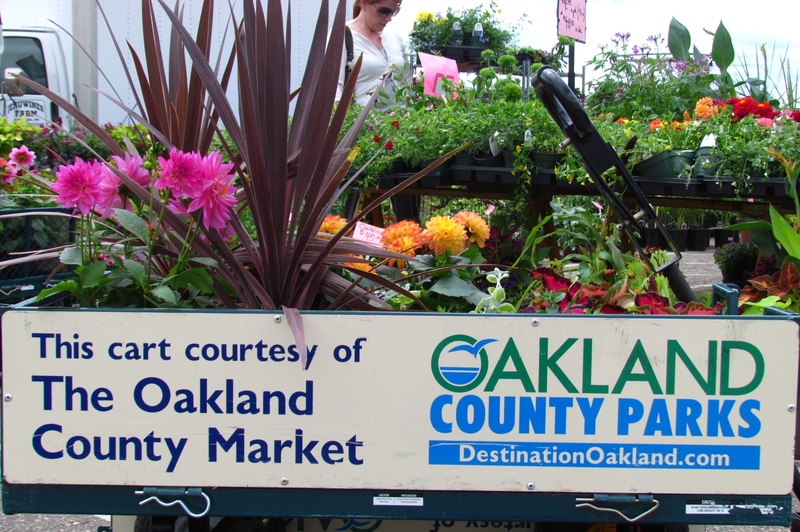 Visit DestinationOakland.com for details on the Oakland County Market and the 13 Oakland County Parks. ← Congrats to OUWB’s Charter Class 2015 Graduates!